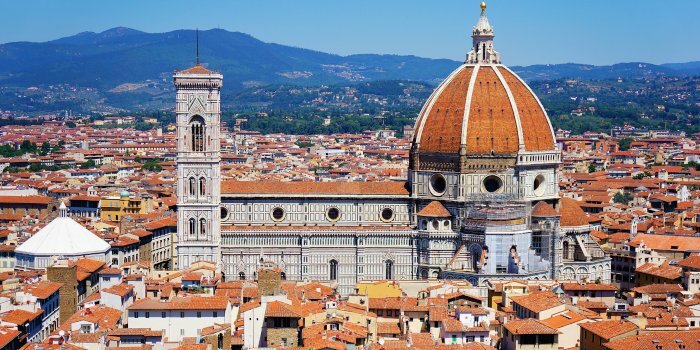 Queues to get into Florence Cathedral – il Duomo – can be long, often very long – this new tour bypasses any and all lines, and sees you accompanied into the cathedral to enjoy a detailed, anecdotal and friendly tour of the building and its contents. Your local, professional english-speaking guide will also, as part of this walking tour, introduce you to the other buildings that make up the incredible religious heart of Florence – the Baptistery and the Clocktower included. The tour runs six days a week and starts at 10.00 in the morning – check availability and make reservations here. Next Post Last Supper 2019 – May and June availability.